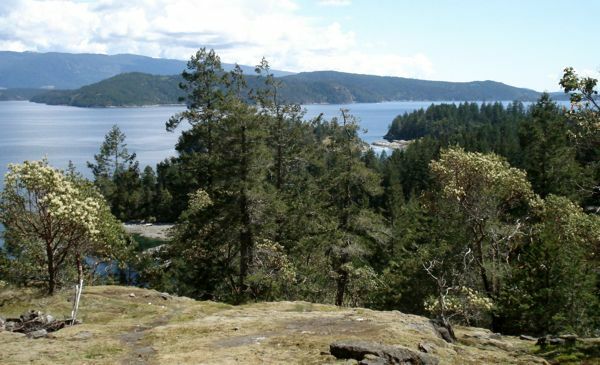 The first time I set my eyes on Desolation Sound, I knew I had discovered a treasure! Of course I was not the first to feel like that! 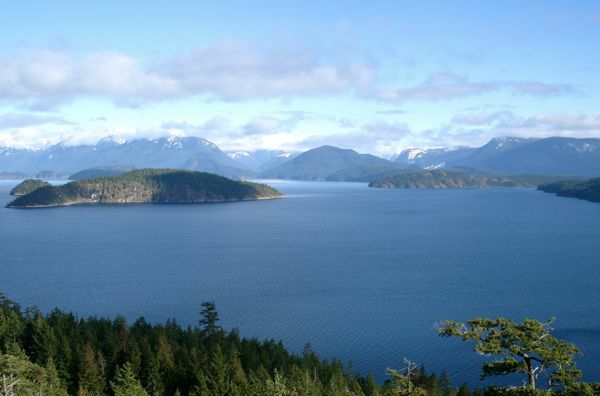 I am sure that has a lot to do with why the BC government created the Desolation Sound BC Marine Park. Boaters and kayakers come from all over the world to cruise or paddle these special waters. Sprinkled with islands and coves, the park, in the summer, has some of the warmest ocean swimming zones on the west coast north of Mexico. Add to that the scenery of snow capped mountains and rugged terrain, and you have a vacation area that feasts the eyes. 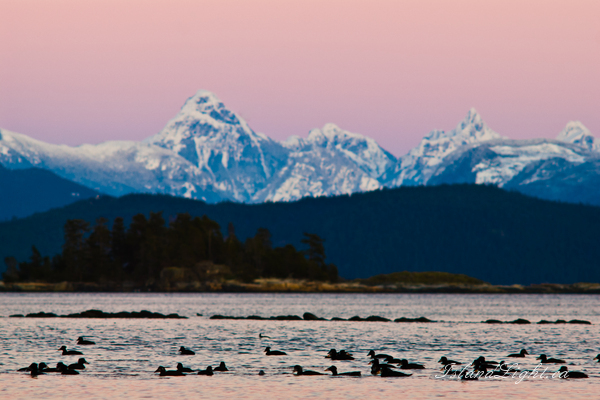 Mt Denman dominates the backdrop as it towers over the Sound at the end near Forbes Bay before entering the Toba Inlet. 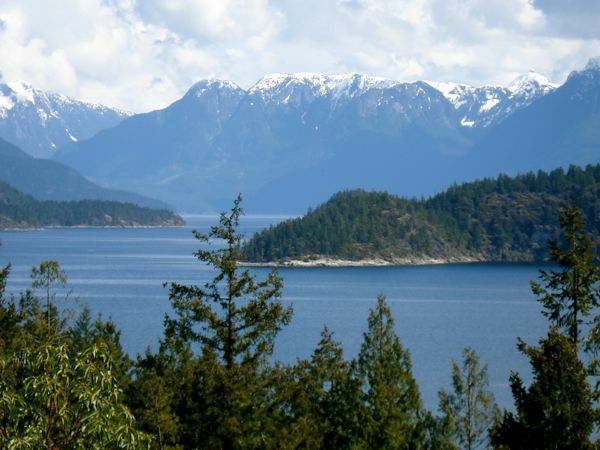 Traveling up the British Columbia Sunshine Coast to Lund BC, you reach the end of the road by car. If by boat, Lund or Bliss Landing, further along, are good places to refuel before going onwards. Lund is a fabulous place to dine and shop for local crafts. The food at the Lund Hotel or the bakery should not be missed. If you love fries try the yam fries for a novel taste treat! It's easy to rent kayaks there or catch a water taxi to Cortes Island BC. The Copeland Islands create a channel as you paddle north to the end of the Sunshine Coast up to the tip of the Malaspina Peninsula. Steep cliffs and bluffs on your right have many happy Arbutus trees clinging along the way. This was the route I took with my friend the second time I went to Cortez Island. We did it by canoe. We were lucky the waters were calm. On the way back we had to hitch a ride on a boat, canoe and all, because the waves were too big for a safe crossing. The wind had come up and it was blowing! 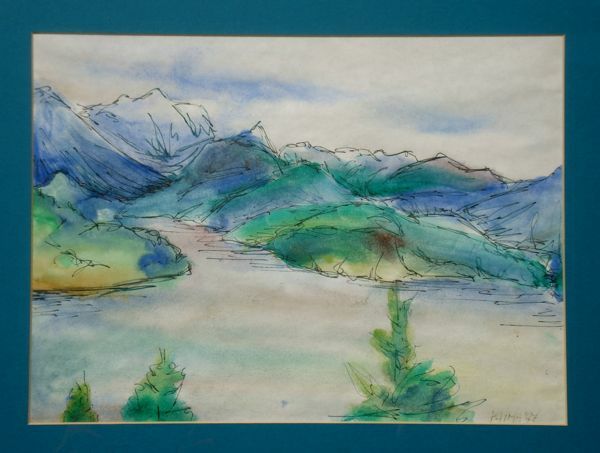 Sarah Point is the tip of the Malaspina Peninsula and the end of the Sunshine Coast. You turn right and enter the waters of Desolation Sound BC. Bliss Landing is about half way up the photo (hard to see...it's in a small cove). Lund is just beyond the picture on the right further south. Across the way is Cortes Island. Its eastern flanks guard the entrance way to the Sound. You can head across past Mary Point and into Cortes Bay where the Seattle and Vancouver yacht clubs have outposts. You will find in Cortes Bay a large public dock and lots of space to anchor or a bit to the left, westwards, Tai Li Lodge, a kayakers haven and campsite. You can head across from Sarah Point the other way and go to Squirrel Cove for a fine pit stop at the restaurant, general store or craft store. Lots of excellent spots to anchor there as well. Across from Squirrely, as it is known affectionately, is Refuge Cove on Redonda Island. Yummy food and cappuccinos can be had there and load up on what you are missing as this is the last stop into Desolation Sound BC. Paddle out of Refuge Cove, now you understand why it got that name! Quite the protected zone in there. Turn left and head to Kinghorn Island if you missed it on your way in. It is right in the middle of the open channel and affectionately known by Tiberians from nearby Tiber Bay as a raccoon penal colony for the pesty critters. We trap the offenders and banish them to Kinghorn. Of course, divine retribution came down on us one summer when we took a batch of youth there for an overnight camping trip. We hiked to the top above the cliff face and that night had a feast back at the campsite, forgetting to protect our food. During the night the robber barons came and got into everything! On the east side of Kinghorn sits Station Island, a beauty of a rounded dome. It was here that I caught my first salmon at the same time as my friend Bill caught his first. I still remember the smiles after we landed those fishees! Beyond lies Mink Island and the Kermes, a string of small islands with wonderful campsites and areas to drop anchor. Lots of Arbutus, or Madrone, and Manzanita trees to be found here. You can explore Redonda Islands by heading into Waddington Channel, Roscoe Bay, or Pendrell Sound from there. The end of Desolation Sound BC is Forbes Bay at the foot of Mt Denman, a spectacular mountain that you will see constantly while in Desolation Sound. Past that and you enter the Toba Inlet and points beyond. But that is another story! 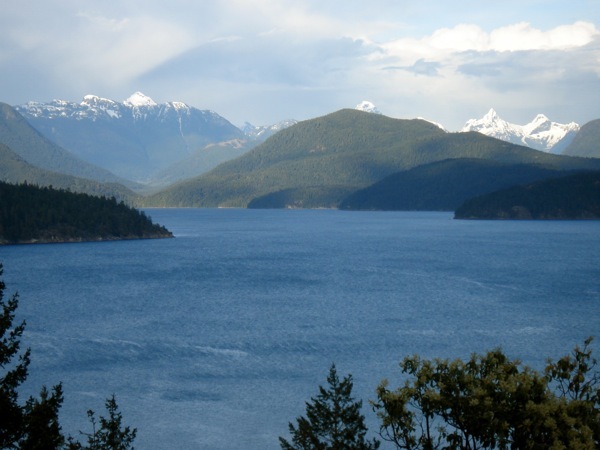 You Must Have a Great Story or Picture about Desolation Sound BC? 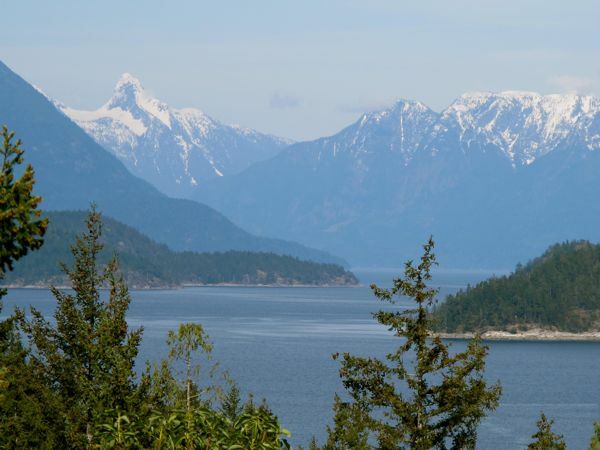 ...whether the whales, the mountains, the warm summer waters, the lakes, the storms, the beaches, the Arbutus trees, your boating or kayaking experiences or whatever! Whatever it is or simply WHY I LOVE Desolation Sound, please share it here!